The 62nd Rifle Division was an infantry division of the Soviet Union's Red Army, formed four times and active during World War II and the postwar period. 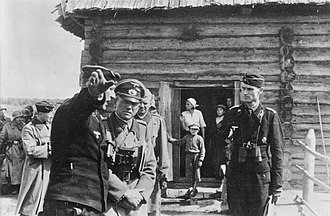 The division was formed in 1936 and fought in the Winter War and Soviet occupation of Bessarabia and Northern Bukovina. 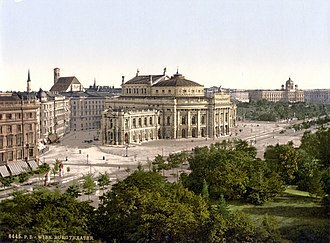 It was destroyed during the Battle of Kiev in summer 1941. 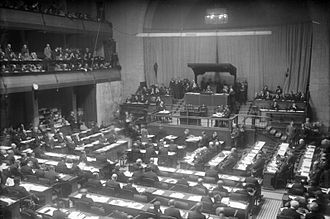 The division was reformed in November 1941. It fought in the defense against the German offensive Case Blue during the summer of 1942. After suffering heavy losses, it was withdrawn from combat but was sent back to fight in the Battle of Stalingrad in November. 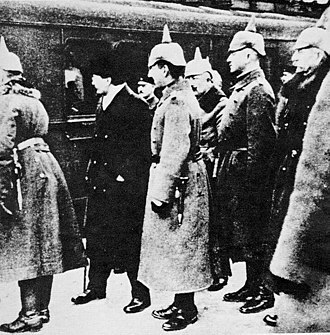 The division suffered heavy losses and was disbanded on 2 November. The division was reformed a third time from a rifle brigade in April 1943. It fought in Operation Suvorov, Operation Bagration, the East Prussian Offensive and the Prague Offensive. It was disbanded in the summer of 1945. 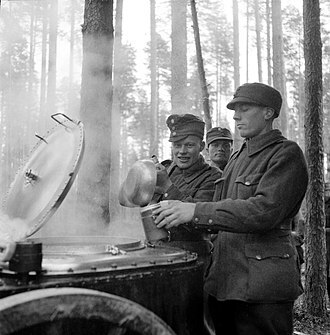 The 62nd was reformed a fourth time by renaming the 360th Rifle Division, but became the 108th Motor Rifle Division in 1957. The division's first formation was originally formed as the 2nd Muslim Rifle Division during the Russian Civil War on 26 October 1919 in Samara from the 1st and 2nd Tatar Rifle Brigades, part of the Turkestan Front. On 24 November it was renamed the 2nd Turkestan Rifle Division, receiving the designation Red Communards on 25 January 1920. Meanwhile, on 22 November 1919, the Turkestan Front reorganized the troops of the Turkestan Socialist Federative Republic, with the troops of the Fergana Front being consolidated into the 1st Separate Fergana Rifle Division. On 22 December this unit was reorganized as the 2nd Turkestan Rifle Division. All Soviet units in Fergana Oblast were subordinated to the latter, which in effect became an army-level command, on 25 April. In June 1920, the 2nd Turkestan Rifle Division of Red Communards was transferred to Fergana and merged with the 2nd Turkestan Rifle Division. From then until February 1921 the division fought against the Basmachi movement in Fergana, in the areas of Osh, Nookat, Matchа, Namangan, Uch-Kurgan, Kurgan-Tyube, Gorbua, and the Alay Valley. On 16 August, as a result of the Basmachi movement, the Turkestan Front formed the Military Soviet of Fergana Oblast from the Military Soviet of the 2nd Turkestan Division. 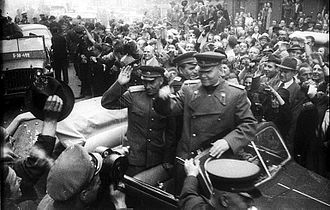 The Military Soviet of the oblast received all military and civilian powers in the region. On 3 October, all of the Soviet troops in Fergana Oblast were combined to form the Fergana Army Group, headed by a Military Soviet formed from the Military Soviet of Fergana Oblast. The army group included the 2nd Turkestan Rifle Division and the 3rd Turkestan Cavalry Division (redesignated as a rifle division in November 1920); its headquarters was formed from that of the 2nd Turkestan Rifle Division. After the transfer of the troops and headquarters of the 2nd Turkestan Rifle Division to Semirechye Oblast, the headquarters of the newly arrived 3rd Turkestan Rifle Division was given control of the Fergana Army Group. Between May and June the 2nd Turkestan fought in the elimination of the remnants of the troops of Andrey Bakich in the Bakhty and Chuguchak area of Semirechye. On 4 May 1921, the troops in Turkestan were reorganized yet again, and the headquarters of the 3rd Division was redesignated as the headquarters of the 2nd Turkestan Rifle Division, functioning as the headquarters of the Fergana Army Group. The headquarters of the former 2nd Turkestan became the staff of troops in Semirechye Oblast. On 18 September, the headquarters of the Fergana Group was redesignated the staff of troops in Fergana Oblast, the command of the troops was assigned to the commander of the 2nd Division, and he was subordinated to the local Soviet authorities. In early April 1923, the positions of the commanders of individual oblasts in Turkestan were eliminated, and on 23 April the headquarters of the 2nd Division was reformed; its commander was tasked with the control of the troops in Fergana Oblast. To command the troops in the Fergana Oblast, the Military Soviet of the oblast was reestablished, led by the 2nd Division commander. 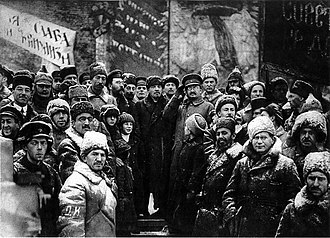 After the defeat of the main Basmachi forces, the Military Soviet was abolished on 1 April 1924 and command of all troops given to the 2nd Division commander. In June 1926 the division became part of the Central Asian Military District, which replaced the Turkestan Front. On 21 May 1936, when the Red Army standardized its unit designations, the 2nd Turkestan was renumbered as the 62nd Rifle Division. 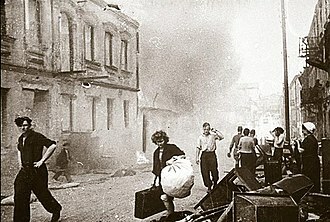 In June 1940, the division fought in the Soviet occupation of Bessarabia. The corps was with 15th Rifle Corps of 5th Army on 22 June 1941. It was destroyed in the Battle of Kiev. The division was officially disbanded on 19 September. 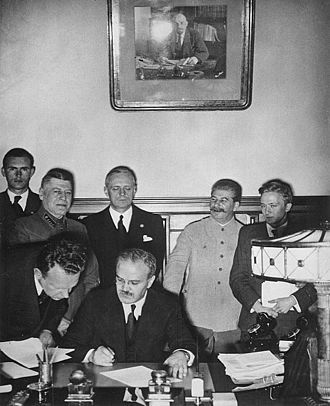 The division was reformed in November 1941. It joined the 'operational army' on 2 November 1941, serving on the front until 29 July 1942. It then fought on the front again from 7 October 1942 to 2 November 1942. It was then disbanded. The division was recreated on 15 April 1943 from the 44th Separate Rifle Brigade. In March 1944, it inherited the Order of the Red Banner of Labour from the division's first formation. The division fought in the Battle of Stalingrad and at Kursk. It was with the 31st Army of the 1st Ukrainian Front in May 1945. It was disbanded in the summer of 1945 by the order forming the Central Group of Forces, dated 29 May 1945. 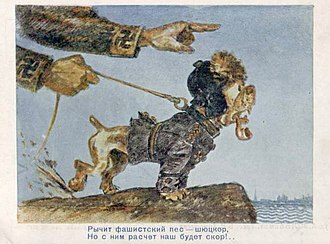 On 10 June 1945 Feskov et al. 2013 lists the division as being with 36th Rifle Corps (along with 88th and 331st Rifle Divisions) in the 31st Army. In April 1955, the 62nd Rifle Division was formed a fourth time by renaming the 360th Rifle Division at Termez with the 17th Rifle Corps. This formation inherited the honorific "Nevel" and the Order of the Red Banner from the 360th Rifle Division. On 25 June 1957, it became the 108th Motor Rifle Division. ^ a b c d e Dvoinykh, Kariaeva, Stegantsev, eds. 1993, pp. 169–170. ^ "62-я Туркестанская стрелковая дивизия" [62nd Turkestan Rifle Division]. rkka.ru (in Russian). Retrieved 22 February 2016. ^ a b "Стрелковые 61–75" [Rifle 61–75]. myfront.in.ua (in Russian). Retrieved 2016-02-22. ^ "62-я стрелковая дивизия" [62nd Rifle Division]. rkka.ru (in Russian). Retrieved 14 September 2016. ^ "62-я Борисовская Краснознаменная стрелковая дивизия" [62nd Borisov Red Banner Rifle Division]. rkka.ru (in Russian). Retrieved 22 February 2016. ^ Feskov et al 2013, 47. 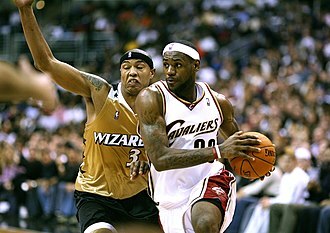 ^ Crofoot, Craig; Avanzini, Michael (2005-05-01). Armies of the Bear. Tiger Lily Publications LLC. p. 82. ISBN 9780972029605. ^ Holm, Michael. "108th Motorised Rifle Division". www.ww2.dk. Retrieved 2016-02-22. Dvoinykh, L.V. ; Kariaeva, T.F. ; Stegantsev, M.V., eds. (1993). Центральный государственный архив Советской армии [Central State Archive of the Soviet Army] (in Russian). 2. Minneapolis: Eastview Publications. ISBN 1-879944-03-0. Poirer and Connor, Red Army Order of Battle in the Great Patriotic War, 1985. 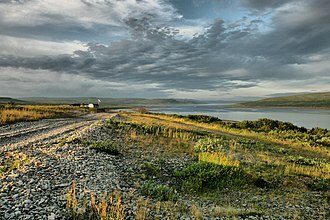 Qurghonteppa or Kurganteppa, formerly known as Kurgan-Tyube, is a city in southwestern Tajikistan. It is the capital of the Khatlon region and it is located 100 km from Dushanbe and it is estimated that the population of the city is close to 102,000 people, making it the third-largest city in the country. The population fluctuates depending on season, along with the capital Dushanbe, Qurghonteppa is demographically much more diverse than other major Tajik cities such as Khujand, Kulob or Istaravshan. Ethnicities include Tajiks, Russians, Ukrainians, Greeks, the city had a large number of ethnic Russians who were actively employed by the industrial and agricultural complexes in and around the city. 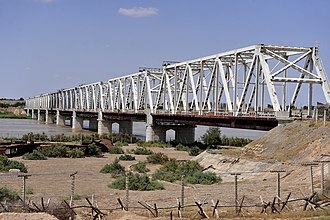 The political opposition in Tajikistan primarily comes from Qurghonteppa, Qurghonteppa was seriously damaged during the civil war in 1992-1997, during and after that war 85% of the Russians left the city. Qurghonteppa International Airport serves a handful of cities in Tajikistan, the city is considered to be the heart of cotton cultivation in Tajikistan. The Turkestan Military District was a military district of both the Imperial Russian Army and the Soviet Armed Forces, with its headquarters at Tashkent. The District was first created during the 1874 Russian military reform when by order of Minister D. A. Milyutinym the territory of Russia was divided into fourteen military districts and its first commander was Konstantin Petrovich von Kaufman, who was Governor-General of Russian Turkestan at the time. From 1918 to 1926 the District was referred to as the Turkestani Front as its forces were conducting operations against the Basmachi Revolt throughout practically all the Districts territory. 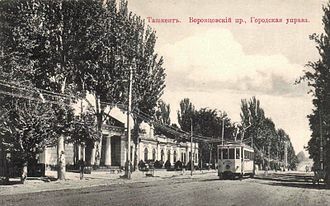 In October 1919, Gleb Bokii was sent by Cheka head Felix Dzerzhinsky to Tashkent to head the operations of the Cheka in the Turkestan Front, the District was re-created on 9 July 1945 after the division of the Central Asian Military District into the Turkestan and Steppe Military Districts. The new Turkestan and Steppe District were formed from the headquarters of the 1st, in July 1946 the Steppe Military District was dissolved and its responsibilities transferred back to the Turkestan Military District. In January 1958 from the abolished South Ural Military District the Turkestan District gained the territories of Aktyubinsk and the West-Kazakhstan areas of the Kazakh SSR. In 1957 5th Guards Motor Rifle Division, the former 5th Guards Mechanised Corps that had ended the war in Germany with 4th Tank Army, SAVO eventually was merged back into the TurkVO. 73rd Air Army was reestablished to provide air support for the Central Asian Military District, the 32nd Army initially combined a former Ukraine-based division, the Тurkmenistan-based 155th MRD and 78th Тank Division, and the 203rd Motor Rifle Division. To replace the 1st Army Corps which had moved up to Semipalatinsk. The corps was created in 1982 and it comprised two divisions - the 88th and the 58th Motor Rifle Division. Thus the Turkestan Military District covered only the Uzbek SSR and the Turkmen SSR, in the 1980s the District became part of the Southern Strategic Direction alongside the North Caucasus and Transcaucasus Military Districts. The Basmachi movement or Basmachi Revolt was an uprising against Russian Imperial and Soviet rule by the Muslim peoples of Central Asia. The movements roots lay in the violence of 1916 that erupted when the Russian Empire began to draft Muslims for army service during World War I. In the months following the October 1917 Revolution the Bolsheviks seized power in parts of the Russian Empire. Turkestani Muslim political movements attempted to form a government in the city of Kokand. The Bolsheviks launched an assault on Kokand in February 1918 and carried out a massacre of up to 25,000 people. The massacre rallied support to the Basmachi movements who waged a guerrilla and conventional war that seized control of parts of the Fergana Valley. The fortunes of the decentralized movement fluctuated throughout the early 1920s, after major Red Army campaigns and concessions regarding economic and Islamic practices in the mid-1920s, the military fortunes and popular support of the Basmachi declined. 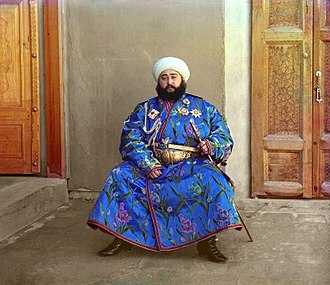 Resistance to Russian rule and Soviet leadership did flare up again, to a lesser extent, prior to World War I, Russian Turkestan was ruled from Tashkent as a Krai or Governor-Generalship. To the east of Tashkent, the Ferghana Valley was an ethnically diverse, under Russian rule, it was converted into a major cotton-growing region. On the whole, living standards did not improve, and many farmers became indebted, many criminals organized into bands, forming the basis for the early Basmachi movement when it began in the Ferghana Valley. Cotton price-fixing during the First World War made matters worse, Muslim clergy decried the gambling and alcoholism that became commonplace, and crime rose considerably. Major violence in Russian Turkestan broke out in 1916, when the Tsarist government ended its exemption of Muslims from military service, the result was a general revolt, centered in modern-day Kazakhstan and Uzbekistan, which was only put down by martial law. Tensions between Central Asians and Russian settlers led to large-scale massacres on both sides, thousands died, and hundreds of thousands more fled, often into neighboring Republic of China. The 1916 rebellion was the first anti-Russian incident on a scale in Central Asia. It is the labour counterpart of the military Order of the Red Banner. 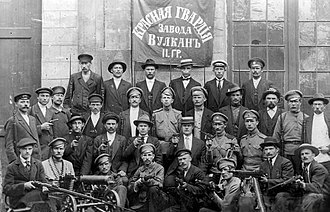 A few institutions and factories, being the pride of Soviet Union, the Order of the Red Banner of Labour began solely as an award of the Russian SFSR on December 28,1920. The all-Union equivalent was established by Decree of the Presidium of the Supreme Soviet on September 7,1928, the Order of the Red Banner of Labour could be awarded multiple times to the same recipient for successive deeds and long time merit. The Order of the Red Banner of Labour was worn on the side of the chest. If worn in the presence of Orders or medals of the Russian Federation, the design of the Order of the Red Banner of Labour evolved over the years. Its original design, called type 1 was amended in 1936, the type 1 Order consisted of a 38 mm wide by 43 mm high silver badge in the shape of a cogwheel, at center, a disc bordered along its entire outer diameter by panicles of wheat. Protruding from under the half of the central disc, a red enamelled triangle pointing downwards. On the central disc in the background, an electric dam, at center, a gilded hammer and sickle, at the top. At the very bottom of the cogwheel, the relief inscription USSR on a stylised horizontal shield bisected by a smaller cogwheel meshing into the larger one, the Order was secured to clothing with a threaded screw and nut arrangement. The earlier nuts were 28 mm in diameter, ones measured 32 mm, the type 2 Order consisted of a silver badge in the shape of a cogwheel, it measured 38 mm wide by 44 mm high. On the lower circumference of the cogwheel, the relief inscription Proletarians of the World, below the cogwheel, a red enamelled relief five pointed star superimposed on a shield from which four short panicles of wheat protrude left and right. Along the outer circumference of the central wreath, white enamelled slots spaced equally on the cogwheel. The individuals listed below were recipients of the Order of the Red Banner of Labour, the first recipient of the Order of the Red Banner of Labour of the RSFSR was Nikita Menchukov for saving an important bridge from being destroyed by flowing ice. The 1st Ukrainian Front was a front—a force the size of a Western Army group—of the Soviet Unions Red Army during the Second World War. On October 20,1943 the Voronezh Front was renamed to the 1st Ukrainian Front and this name change reflected the westward advance of the Red Army in its campaign against the German Wehrmacht, leaving Russia behind and moving into Ukraine. 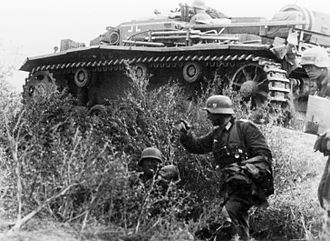 The front participated or conducted battles in Ukraine, Germany, during 1944, the front participated with other fronts in the battles of Korsun-Shevchenkivskyy, and the battle of Hubes Pocket in Ukraine. 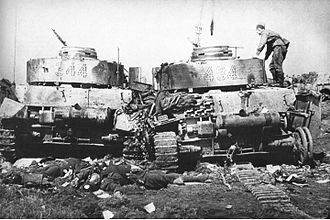 It took part in the battle for Ternopil, in 1945 the front participated in the Vistula-Oder offensive, and conducted the Silesian and Prague Operations, and the siege of Breslau. 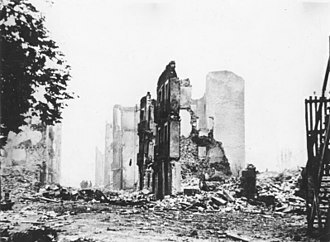 It participated in the Berlin operations in Germany and Poland, the front conducted the major part of the Halbe Encirclement, in which most of the German 9th Army was destroyed south of Berlin. 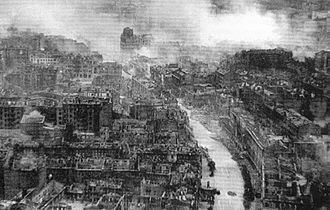 By this time the Polish Second Army was operating as part of the Front, finally 1st Ukrainian Front provided the defence against the counter-attacks by Armee Wenck which aimed to relieve Berlin and the 9th Army. 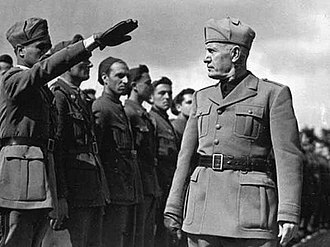 In European military tradition, military units may be acknowledged for their achievements in specific wars or operations of a military campaign. These honours usually take the form of a place and a date, theatre honours could be listed and displayed on regimental property but not emblazoned on the colours. Since battle honours are emblazoned on colours, artillery units. These honour titles were permitted to be used as part of their official nomenclature, similar honours in the same tenor include unit citations. Battle honours, theatre honours, honour titles and their ilk form a part of the variety of distinctions which serve to distinguish military units from each other. For the British Army, the need to adopt a system to recognise military units battlefield accomplishments was apparent since its formation as an army in the part of the 17th century. Although the granting of battle honours had already been in place at the time, before then, a regiments colours were practical tools for rallying troops in the battlefield and not quite something for displaying the units past distinctions. The first battle honour to be awarded in the British Army was granted to the 15th Hussars for the Battle of Emsdorf in 1760, other regiments received battle honours for some of their previous engagements. The battle honour is held by the successor regiment, the Princess of Waless Royal Regiment. During these early years of the British standing army, a regiment needed only to engage the enemy with musketry before it was eligible for a battle honour, thus in 1882, a committee was formed to adjudicate applications of battle honour claims. This committee, called the Battles Nomenclature Committee, still maintains its function in the British Army today. A battle honour may be granted to infantry/cavalry regiments or battalions, as well as ships and squadrons, they are granted to sub-units such as companies. Battle honours are presented in the form of a name of a country, region, or city where the units distinguished act took place. Not every battle fought will automatically result in the granting of a battle honour, conversely, a regiment or a battalion might obtain more than one battle honour over the course of a larger operation. Osh is the second largest city in Kyrgyzstan, located in the Fergana Valley in the south of the country and often referred to as the capital of the south. It is the oldest city in the country, and has served as the center of Osh Region since 1939. The city has a mixed population of about 255,800 in 2012, comprising Kyrgyz, Russians, Tajiks. The citys industrial base, established during the Soviet period, largely collapsed after the break-up of the Soviet Union and has only started to revive. Daily flights from Osh Airport link Osh - and hence the part of Kyrgyzstan - to Bishkek. Osh has two stations and a railway connection to Andijan in neighbouring Uzbekistan, but no passenger traffic. The recent upgrading of the long and arduous road through the mountains to Bishkek has greatly improved communications, the city has several monuments, including one to the southern Kyrgyz queen Kurmanjan Datka and one of the few remaining statues of Lenin. A Russian Orthodox church, reopened after the demise of the Soviet Union, the largest mosque in the country, the only World Heritage Site in Kyrgyzstan, the Sulayman Mountain, offers a splendid view of Osh and its environs. This mountain is thought by researchers and historians to be the famous landmark of antiquity known as the “Stone Tower”. It marked the midpoint on the ancient Silk Road, the trade route taken by caravans between Europe and Asia. Its first western-style supermarket Narodnyj opened in March 2007, Osh city covers 182.5 square kilometres and like the capital city Bishkek, is administered separately and not part of any region, although it is the seat of Osh Region. Besides the city proper,11 villages are administered by the city, Arek, Gulbaar-Toloykon, Kengesh, Kerme-Too, Pyatiletka and parts of Ozgur, Osh is the second largest city in Kyrgyzstan after the capital city of Bishkek. At the census of 2009 the city amounted to 258,111. Of the total population,47. 9% were Kyrgyz,44. 2% Uzbeks,2. 5% Russians,2. 2% Turks,1. 1% Tatars and 2. 1% other nationalities. The population of the city with its suburbs in the surrounding Kara-Suu District is estimated at about 500,000 inhabitants, the city is among the oldest settlements in Central Asia. The commanders and soldiers of the 1st Ukrainian Front at the Moscow Victory Parade. June 24, 1945. The territory of the Central Asian Military District in 1989.